For some reason, this is the big question I’m being asked this year. Should I get my pre-school kid a tablet? It makes me wonder, is there some sort of ad campaign that’s targeting kids and tablets? Or is it just that tablets are finally to the point where they’re not astronomically priced? Here’s the easy answer: Yes you should. Right now. Look. We all know that kids are not always really respectful with electronic devices, and a fully tricked out iPad can get you pretty close to $1,000. So it’s hard to think that it’s the right thing to do, but it most definitely is. Your kids will be interacting with technology throughout their lives. It seems likely that the next 10 years will be dominated by tablet computing. It’s hard to know what will come after that… maybe plugging your brain directly in, maybe gestural input that displays on custom contact lenses. Today, it’s tablets. The traditional computer still rules in business, but tablets are kings of the home. Children interact very naturally with tablets, because they can use the basic gestures and they understand what is being shown to them. Tablets are an essential educational tool today. Books are great, so are educational toys, but if your preschool kid isn’t interacting with a tablet he or she is not getting those essential skills. Other kids are. If you set the tablet up properly with internet access, you can supervise your child while he or she e-mails or skypes with relatives and let’s face it, everyone loves that. You may not want the child to have full-time internet access since there aren’t really any parental controls for these devices. However, it’s fairly easy to disable and enable wi-fi, or if the child catches on to that trick a more advanced user can change the DNS settings so that the tablet can’t browse the internet. It doesn’t have to be a fourth-generation iPad. There are plenty of used older iPads out there that work great. What’s more, there are a lot of super-durable cases for iPads out there. Not an Apple fan? The news gets even better. 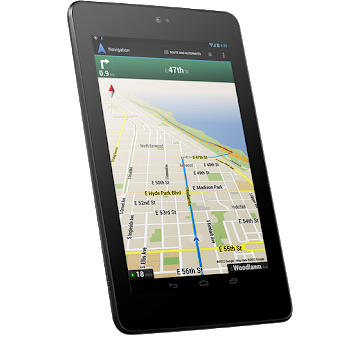 Google’s Nexus 7 is as close as you can get to a perfect tablet for kids. It’s fairly durable and at $199 it’s a steal. The selection of kids apps isn’t as good, but you’ll still find enough to keep your kids busy. The only thing that’s missing is a super-durable case. What about a LeapPad or some other kid-specific tablet? These are good for younger kids but trust me, they will outgrow them fast and move on to a more general-purpose tablet. It’s not a complete waste of money, but no matter how many apps there are on these kid-based tablets, they will outgrow them in a year and they’ll be begging for something more powerful. Two hundred dollars is a lot of money to spend on a child, but you’ve spent it before, on clothes, furniture and other things that were absolute necessities. In my opinion, giving your child a firm grounding in technology is a necessity too.